When Sgt. 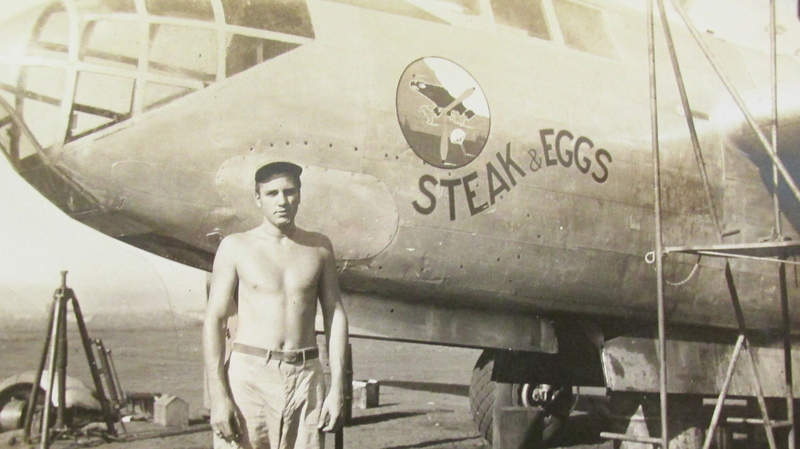 John Spatharos of Tangerine Woods, Englewood, Fla. climbed aboard an A-20, twin-engine attack bomber dubbed “Steak and Eggs” at Kila Airstrip on the island of New Guinea during World War II he had no idea what fate had in store for him. He was taking a few days R&R in Australia after serving months in a radio shack as a communications specialist for the 89th Bomb Squadron, 3rd Bomb Group, 5th Air Force. He didn’t make it, his plane crashed in the Coral Sea. The Douglas A-20 was not the best bomber in the Second World War, far from it. It had a number of shortcomings including being poorly armed. It had a big plexiglass nose that shattered easily when attacked by Japanese fighter planes. He flew in the nose of the bomber on the first leg of their journey from the airstrip to Port Moresby, New Guinea. While stopped at the port to get one engine worked on, Spatharos had a bit of extra time so he looked up a friend in the service there. “When I left my buddy he gave me a bottle of whiskey. He didn’t drink. A captain had joined our crew by the time I got back to ‘Steak and Eggs.’ He wanted to sit in the nose of the bomber to get a better view. I gave him my seat up front,” Spatharos said. “The weather was terrible. It rained all the way from New Guinea to Australia. We were supposed to land in Darwin, up in the northern part of Australia. The pilot called the tower for an ETA (Estimated Time of Arrival). When he got that he realized he had missed Darwin some how and was lost. I could hear him talking to the tower. “We kept flying and it kept pouring something awful. I sipped a little booze out of my whiskey bottle as we flew along,” Spatharos said. “Then the pilot said he was dropping down again and asked me to take a look around and see if I could spot land any place. I looked but couldn’t see anything because it was still pouring. “A short while later the pilot called me again and said, ‘I think we’re going to have to prepare to ditch because I am running out of fuel. He told me to get everyone in the back of the plane to put their barrack bag up against the bulkhead and lean up against their bags and using them as a cushion. “One of the guys in the back with me was Catholic. He was praying with his rosary beads,” Spatharos said. “‘I can’t swim and I have no life jacket,’ he told me. “I had my chute on and I was wearing my May West. I gave him my life jacket. “The pilot brought the plane down closer and closer to the sea. He couldn’t use his flaps because the surf might catch the flaps and cause the plane to cartwheel. We must have been going 200 mph when the A-20 hit the water. When it did a 6-foot by 3-foot trap door in the rear of the plane flew open and the sea rushed in. The bomber bounced 100 feet in air. ‘Steak and Eggs’ was wobbling all over the place, but somehow the pilot got it down in the sea. “I told the crew chief, who had been praying with his rosary, we needed to get up to the front of the plane and see about the captain, who was sitting in the plexiglass nose, as soon as the bomber stopped. I could hear the sides of the plane scraping against something, so I knew we must be in shallow water. “We had crashed in the Coral Sea on a little spit of sand no larger than a football field surrounded by huge rocks sticking out of the sea. The plane had come to rest on an angle with part of its fuselage on the sand and the tail section in the water wedges between a couple of giant boulders. “The two of us jumped out of the plane. When we got up to the nose of the bomber I could see some of the plexiglass had been broken out and there was blood all over. He remembered his whiskey bottle and went back out to the plane and found it floating in the seawater inside the bomber. He couldn’t believe it hadn’t been broken in the crash. For the next four days the crew of “Steak and Eggs” subsisted on coconuts they found at the foot of three palm trees on the island. They split the coconuts open, drank the milk and ate the white meat inside. “On the fourth day we were sitting around a fire on the beach we had made when I spotted a boat on the horizon,” he said. “The pilot fired a couple of flares from a flare gun, but the boat’s crew apparently didn’t spot them. Lucky for the bomber crew, she was a Dutch merchant vessel headed to Australia with a cargo of war material. It could just has easily been a Japanese vessel. “The ship came as close to shore as possible, then they put a big row boat over the side and came and got us. I signaled them with a flash light we needed a stretcher for the captain. 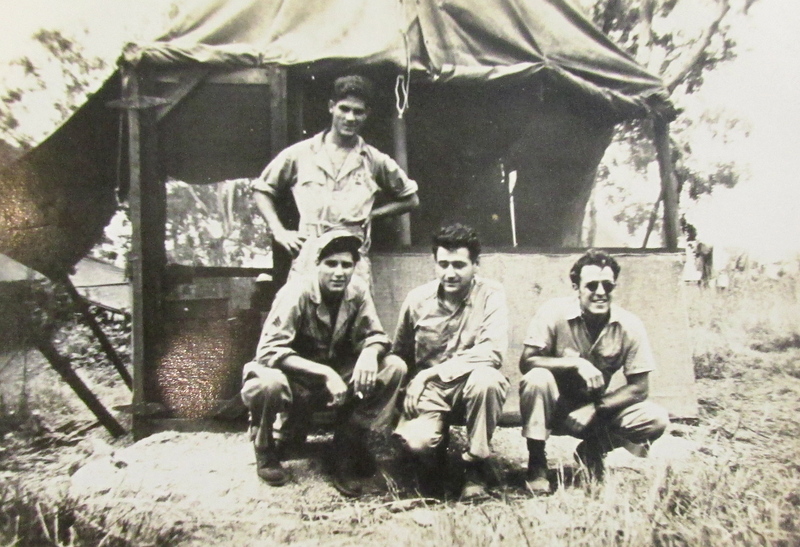 Because Spatharos arrived in the Pacific Theatre in 1942 he had amassed enough points to return to the states and be discharged from the Air Force. “I married Muggie on Pearl Harbor Day, Dec. 7, 1944,” he recalled with a smile. “We’ve been married 70 years this Dec. 7. The couple has three children: Connie, Patty and John. For 27 years he worked as a tool and die man for General Motors. 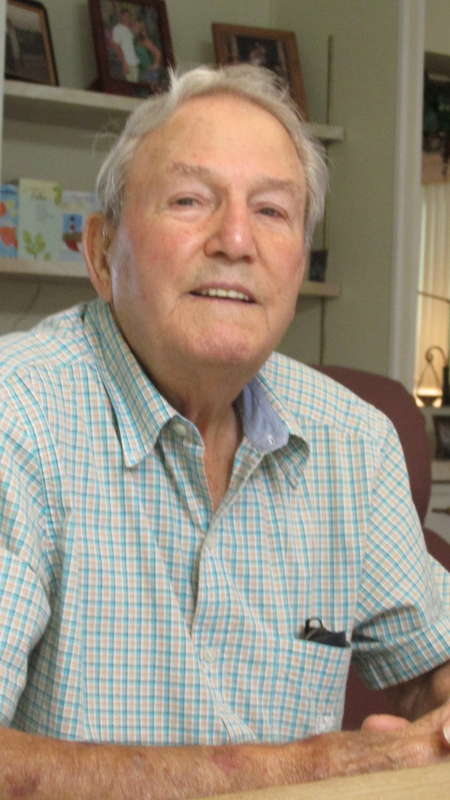 When he retired from GM he was the third shift plant superintendent with 325 men working for him. The Spatharos have lived in Tangerine Woods mobile home park for 13 years. This story was first published in the Charlotte Sun newspaper, Port Charlotte, Fla. on Wednesday, June 25, 2014 and is republished with permission. Quite a story – fate had them ditch in the Pacific, BUT – it also gave them an island and a freighter to save them. What a memory to have!! did you know Edward blatchley? Thanks for the heads-up on the 5th Army instead of the 20th. Ten out of ten pilots of the 3rd BG who flew the A-20A Havoc bomber in combat during 1942 & 1943 would say that it was the best bomber of WWII. Fast & maneuverable, it was also rugged enough to bring its crew home after shot up by Japanese AAA fire during low level missions. There were very few 3rd BG crews lost in combat while flying the A-20A. The ground crews did have to spend a lot of time replacing those Plexiglass nose panels after strafing missions. This week’s story comes from War Tales, a site created by Don Moore. He has gathered stories from local veterans over the years and has been adding them for anyone to read. Since we concentrate on certain Fifth Air Force bomb groups, we had to share this interesting story about a 3rd Bomb Group crew’s experience with the notoriously bad New Guinea weather. John Spatharos is my husband’s great uncle. Uncle John is a remarkable man and we are all so very proud of him. Thank you for writing this story and sharing a part of the history of our country and also for adding to our great family history. John may have known my husband’s father, Mitchell “Mickey” George Yanoska. 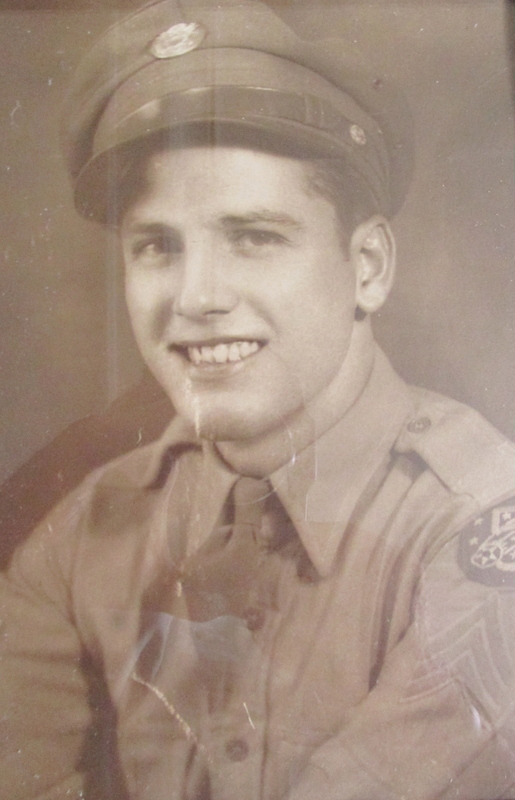 He was an aerial gunner stationed in New Guinea, 5th AF, 3rd BG, 89th BS. I have a photo from Mickey (since called Mike) Yanoska that shows the 1st edition of the Steak & Eggs Special. Mike Yanoska flew many missions around New Guinea. If anyone is interested in an email copy of the plane’s photo, just email me for it. I have other photos too.